Home applicance Assembly Line's frame is produced with aluminum, also called aluminum assembly line. The aluminum material is light in weight, is most popular material in Home Appliance Assembly Line system. It is good performance and anti-rust. The running speed of home appliance assembly line is ajustable and driven by conveyor driving motor. The adjustable speed can satisfy different production capacity and easy to control the asembly line system. You can place the hone appliance assembly line system at any place you need, the length and width can be designed according to your plant space, can be shorter or extend as you need. More details of Wholesale Aluminum Belt Conveyor Assembly Line please contact us. Looking for ideal Aluminum Assembly Line Manufacturer & supplier ? We have a wide selection at great prices to help you get creative. All the Adjustable Running Speed are quality guaranteed. 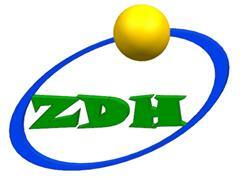 We are China Origin Factory of Conveyor Driving Motor. If you have any question, please feel free to contact us.